Kera Thinks interviews Viet Thanh Nguyen on World Refugee Day as they discuss refugees and his essay collection, The Displaced: Refugee Writers on Refugee Lives. When refugees leave their homes, they’re gambling that some place new will welcome them. Viet Thanh Nguyen knows that experience well as a refugee from Vietnam after the fall of Saigon. On World Refugee Day, he joins us to talk about the many obstacles that can stand in the way of making a new home in a foreign place. The Pulitzer Prize-winning novelist is the editor of the essay collection “The Displaced: Refugee Writers on Refugee Lives” (Abrams Press). Krys Boyd: I’m Krys Boyd. Up next on Think, what it’s like to live as a refugee, and why it’s still tough-going for many allowed to reside in new host countries. We’ll spend this hour with MacArthur Genius Grant recipient and Pulitzer Prize winner Viet Thanh Nguyen, who was separated from his parents as a young child when his family sought asylum from Vietnam. We’ll talk to him about his experiences and about why he insists on being called a refugee to the United States rather than simply an immigrant. Our conversation starts after a short break. Speaker 2: Support for Think comes from the University of Texas at Arlington. Presenting the Maverick Speaker series with entrepreneur and sustainability advocate Graham Hill, September 13th at 7:30 PM. Tickets at uta.edu/maverickspeakers. 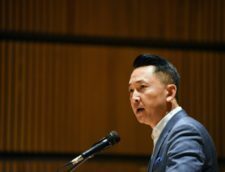 Krys Boyd: Viet Thanh Nguyen was born in Vietnam and arrived in the United States four years later in 1975, but he takes pains to correct people who mistakenly call him an immigrant because as a refugee to this country, Nguyen’s life and identity are marked not only by leave-taking but by loss. From KERA in Dallas, this is Think. I’m Krys Boyd. Individual refugee stories are like snowflakes or fingerprints. They often have similar outlines, but anyone who takes the time to look closely will realize no two are exactly alike. For the new book he edited, Nguyen contributed an essay reflecting on his experiences and then asked other refugee writers to share their own stories. Viet Thanh Nguyen is a Pulitzer Prize-winning writer and MacArthur Genius Grant recipient. 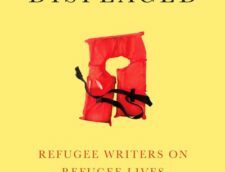 The book is called The Displaced: Refugee Writers on Refugee Lives. He joins us from the studios of NPR West to talk about it. Viet, welcome to Think. Viet Nguyen: Thanks for having me, Krys. Krys Boyd: You say it would be easier to refer to yourself as an immigrant than as a refugee. Why is that? Viet Nguyen: Well, I think Americans still like to imagine themselves as being a part of country of immigrants. That’s true even at this current moment when we’re enduring such a rise in level of xenophobia against immigrants. The idea of immigrants really affirms this country, that we like to believe that people come here in pursuit of the American Dream. That’s true even for people who are opposed to immigrants because of course immigrants would want to come here. We’re awesome. The idea of the immigrant narrative really still remains crucial to the American idea of who we are. Krys Boyd: Why do you insist on the term “refugee” for yourself? Viet Nguyen: Well, I think refugees are a much more uncomfortable category, and I think a lot of people don’t really understand the distinction. They haven’t really thought about how these two groups are quite different from each other, except for when they see images of refugees, because, for example, when you see images of refugees, what many people think of normally are things like boats and deserts and camps and death and people fleeing desperate circumstances and often looking quite pitiful in newspaper or television images. I think for many people, both in the United States and in other countries, there’s this idea that refugees are a lesser category, possibly even less than human. They bring with them a great degree of possible contamination and possibly physical contamination, illnesses of various kinds, but really I think what’s much more psychologically threatening is that refugees bring the idea that what happened to them could happen to us as well. That’s, I think, one of the key reasons why people want to keep refugees out of their own country. They don’t want the obligations of hospitality to refugees. They also don’t want the reminder that they might one day become refugees themselves. Unlike immigrants who want to come to a given country, refugees are often unwanted where they come from and where they’re going to. Krys Boyd: What were the circumstances that forced your family to flee? Viet Nguyen: Well, it was the Vietnam War. I was born in Vietnam in 1971, and my parents are Vietnamese. In 1975, with the end of the Vietnam War, we were forced to flee as refugees. We had the typical, dramatic refugee escape story where we had to flee by boat a couple of different times, once internally within Vietnam, and then once to flee Vietnam itself. Then along with 130,000 other refugees from South Vietnam, we ended up in the United States. We were all housed in one of four refugee camps throughout the country. In our case, it was Fort Indiantown Gap in Pennsylvania. In order to leave one of these refugee camps, you had to have an American sponsor to ensure that you would be taken care of and that you could become a responsible person. In the case of our family, there wasn’t a single sponsor who would take all of us. One sponsor took my parents. One sponsor took my 10-year-old brother. One sponsor took four-year-old me. Krys Boyd: You were separated from your parents for months. Viet Nguyen: Yes, and that’s why hearing today’s stories about children being separated from their parents in our various kinds of detention camps along the southern border is really heartbreaking for me because the circumstances that these children and their parents are undergoing are actually much, much worse than what happened to me and my parents because, in my case, I was taken away with the cooperation of my parents. I mean, they were reluctant, but they sort of agreed to it. They didn’t really have much other choice. The idea was that I would be taken away and placed with another sponsor family so that my parents wouldn’t have to worry about me or my brother. They could start trying to build their lives again. My sponsor was a very well-meaning, white, American family, treated me just fine, so there’s nothing to complain about there. But still, when you’re four years old and being taken away from your parents, you don’t have that understanding that this is supposedly being done for your own good, so it was a very traumatic and painful experience for me. That’s where my memories begin. I’ve always held that memory with me of the painful quality of that separation. I know that what’s happening to these children and their parents now on our border is going to be deeply traumatizing for them for decades to come because they’re being taken away under conditions of coercion. Children are being lost. Parents don’t know what’s happening to their children. These children are being put into camps where they have no adult contact and nobody to give them love and affection, and they’re terrified. Krys Boyd: Do you think those months of separation left a permanent imprint on you? Viet Nguyen: They definitely left a permanent imprint. For me, what I did in order to cope with that was to certainly acknowledge that it happened to me. I never forgot that it happened to me, but I think I put that time period of several months of separation from my parents into a corner of my mind. I moved on with my life and tried to become an American. One of the things that happens to you, or at least to me when I became a writer, is that I could no longer run away from my past. I had to sit down and think about what had happened, confront that emotional damage that I had tried to put away, and acknowledge that it had, in fact, shaped my life and shaped my emotions and shaped my relationship to myself and to other people in really serious ways. That’s why I think that there is no justification for separating children from their parents because it is going to leave lasting emotional damage that both the parents and the children will be dealing with for many years to come. Krys Boyd: When things first got really bad for your family in Vietnam, your mother was forced to make some wrenching choices. She wasn’t able to be in contact with your father because, I guess, phone lines were cut off, that sort of thing. She had to just pick up and take you and your brother and go. Viet Nguyen: These were completely normal things. I mean, the things that I’m talking about, I think, may be shocking to a lot of Americans who have never known war on their own homeland, for example, but the circumstances that happened to my parents and to my family were completely normal for all the Vietnamese refugees that I knew. What happened was that we lived in a town called Buôn Ma Thuột in the central highlands of Vietnam. It was the first town captured in the final invasion of 1975. My dad was in Saigon on business, so yes, the lines of communication were cut off. My mother had to make a life-and-death decision about what to do on her own. What she did was decide to take me and my brother and walk about 150 miles downhill to the nearest port town in order to try to get on a boat to go to Saigon. What was really tragic about all of that was that we had an adopted sister, my mother’s adopted daughter, who was 16. My mother decided to leave her behind in order to take care of the family business and thinking that she would come back one day, which again was also not an unreasonable belief to have. Of course, what happened was that my parents didn’t come back for 20 more years. My 16-year-old adopted sister was left alone, if you can imagine that, in the face of the Communist army and had to build her own life by herself completely isolated for the next few decades. Krys Boyd: As you said, your memories really begin during that time that you were temporarily separated from your parents in the United States. Your brother, who is six years older, does recall fleeing your home. Is it something that he’s always talked to you about, or was there a moment when you realized you needed to ask him what happened to you because you were there, but you were too young to hold onto a memory of that? Viet Nguyen: Well, first let’s establish that we are not a family who normally talks to each other. We’re a stoic family who endure our emotions on our own, but I think my first exposure to what my brother remembered and what he went through during that trip was when he wrote a short story that had evoked that time period. In that story, he talked about remembering dead paratroopers hanging from trees. You have to remember, what was happening was that it wasn’t just us who were fleeing as refugees. It was literally tens of thousands of terrified civilians who were running away from the communist army, trying to go down these mountainous roads. I’ve driven up these roads. They’re not very wide. You’ve got thousands of civilians and thousands of South Vietnamese soldiers also fleeing. It was total chaos. I’ve read the history on this. People were dying. All kinds of destruction was happening, as you can imagine, with all kinds of vehicles and military vehicles cramming this road. I’ve written in The Displaced that I’m thankful I don’t remember the things that my brother remembered because the things that I remember are bad enough, what happened in terms of being separated from family. But witnessing people dying, dead already, the chaos and the confusion, the terror, I’m sorry for my brother and my mother that they remember these kinds of things. I think for many years, this was not something that my brother and my mother ever talked about. You have to remember that, from the perspective of my parents, this was simply one incident in a much longer history of incidents that they had lived through as people who were born in the 1930s and had witnessed literally decades of war in their country. Krys Boyd: There’s also an expectation in American culture that when refugees are … I’m using air quotes here … allowed the privilege of coming in, that we expect them to be grateful and humble and just thankful for what they get. That really overlooks the reality that it’s an incredibly hard adjustment, particularly for the people who come as adults, as obviously your parents were. Viet Nguyen: Yeah, and in my collection The Displaced, the writer Dina Nayeri has a great essay on gratitude, that refugees are expected to be grateful for being rescued by their host country. Of course, many refugees are indeed grateful to be rescued by a host country, but the emotions are very complicated because, in many circumstances, the host country that rescues refugees has had some role in creating the conditions that have led to these refugees fleeing in the first place. It can be considered very impolite and rude and politically disruptive for the refugee to bring up this issue. For example, I’ve talked often in my fiction and nonfiction and op-eds and so on about the fact that Vietnamese refugees had to flee and come to the United States because the United States was fighting the Vietnam War. Now, the politics of the Vietnam War, why it happened, who is responsible, they’re very, very complicated, but nevertheless, the United States was there, dropped a lot of bombs on all of Southeast Asia, more bombs on Southeast Asia than what were dropped on Europe during all of World War II. Another thing is that a lot of South Vietnamese people who came to the United States feel that the United States abandoned them. In other words, the United States got involved in the Vietnam War, said, “We’re going to fight this war on your behalf. We’re going to stand up for democracy and freedom.” Then in 1975, when the final invasion came, the United States did not come in to stand with the South Vietnamese military as it had promised. I absolutely reject that sentiment because it is a nativist reaction that completely overlooks the complexity of history and the fact that people have the right to both be grateful and to be angry at the same time. History is complex. Krys Boyd: Your family ultimately settled in San Jose, California. How did your parents make a living? Viet Nguyen: Well, in Vietnam, my parents were born poor into a rural family. Just through sheer, hard work and some kind of native talent, they became successful business people in Vietnam. Then they lost most of that when they came to the United States. Of course, they just recommitted to rebuilding their lives and rebuilding their fortunes. How they did that in San Jose in 1978 was to open perhaps the second Vietnamese grocery store in that city. Krys Boyd: My guest is Viet Thanh Nguyen. He’s a Pulitzer Prize-winning writer and MacArthur Genius Grant recipient. He’s also editor of the new essay collection The Displaced: Refugee Writers on Refugee Lives. We’ll talk more about that in a few minutes. If you’d like to join us, you can call 1-800-933-5372. You can email think@kera.org or find us on Twitter. We’re @kerathink. This is Think. I’m Krys Boyd, speaking this hour with Pulitzer Prize-winning writer Viet Thanh Nguyen. He is a contributor to and the editor of the essay collection The Displaced: Refugee Writers on Refugee Lives. You can join our conversation by sending us a tweet @kerathink, or you can call 1-800-933-5372. Viet, how did you find the writers you wanted to invite to contribute a piece to this collection? Viet Nguyen: Well, the idea for the collection actually came from the Abrams Press editor, Jamison Stoltz, who was really upset by the Muslim ban and, as it turns out, is married to a woman who was a refugee from the Soviet Union. He came to me with this idea, and together we thought it would be great if we could get together an essay collection by refugee writers. If we had just wanted to have refugee stories, we could have had oral histories or interviews. We could have found literally hundreds of thousands of people, but it was important to get writers, I think, because they could actually craft narratives. They could actually tell stories that would give people a glimpse into what these different experiences are like. We wanted to have writers who represented different parts of the refugee experience. 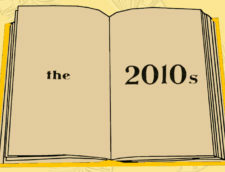 There are 17 writers, and they hail from many different kinds of countries and experiences. That was what happened. We just looked around and thought, “Who are the most interesting writers around who have some kind of refugee background?” People like Aleksandar Hemon, who came from Bosnia, for example, or David Bezmozgis, who came from the Soviet Union, or Kao Kalia Yang, who was a Hmong refugee born in a Thai refugee camp. Krys Boyd: One thing you really push back on here is the idea that writers can give voice to the voiceless. They can speak for refugees. You help us to understand that refugees are speaking loudly and clearly. It’s just the rest of us often tend not to listen. Viet Nguyen: Well, that’s true. I mean, go to a refugee camp, for example. Go to any refugee center. I’ve gone to high schools to talk to refugee students. They all have a lot of stories. Of course, if you can understand the home languages, the original languages that they speak in, they’re very vocal. They’re not shy about discussing what’s happened to them, but of course, part of what it means to be a refugee is not that you can’t speak. It’s that you can’t be heard because you don’t have access to the publishing or filmmaking or news production or whatever. You don’t have access to amplifying your voice like people from a dominant society would have. For someone like me, who is a minority writer and an immigrant writer and a refugee writer, I am often tagged with that label of being a voice for the voiceless. That’s not even unique. Many writers like me are called voices for the voiceless. That’s meant as praise, but it’s really detrimental because what it really means is that audiences from the majority would much rather hear just one voice for the voiceless, rather than listen to the whole chorus or cacophony of voices that constitute any community. If you’re part of the majority, you can take for granted that there are literally thousands of stories about you. If you’re from a minority community or refugee community, you’re told you can only have one voice. My work is not really simply about me making my own voice heard. My work, I believe, as a writer and as an editor, is about being committed to a notion of a more just world in which it’s not simply that we have more voices for the voiceless, but that we will eventually reach a world where people aren’t voiceless at all. Krys Boyd: Any society has to decide which refugees to allow in in large numbers, which to deny. Talk about how we’ve extended more privileges, for example, to Cubans than to Haitians. Viet Nguyen: Well, for example, when we came, Vietnamese people as refugees in 1975, the majority of Americans didn’t actually want to take Vietnamese refugees, but Congress decided to pass an act to accept these 130,000 Vietnamese refugees and other refugees from Cambodia and Laos. The reason why, obviously, was because the United States felt an obligation to these people in these countries where it had waged a war. It was also good politics to take refugees fleeing from communism during the time of the Cold War. That was true also, obviously, for Cubans. Cubans benefited from that anti-communist narrative of the United States rescuing people fleeing from a communist revolution. Haitians didn’t really have that benefit. There was no communist or anti-communist narrative to insert them in. Unfortunately, because Haitians are black and the United States has had a lot of trouble reconciling with its own anti-black history and its history of racism towards Africans and African-Americans, Haitians did not get the benefit of being classified as refugees. Refugee classification is inherently a political classification. Being a refugee grants you certain kinds of prerogatives and rights under the United Nations, which is one reason why the United Nations says there are over 66 million displaced people, but only categorizes about 22.5 million of those people as refugees. The ambivalence about being a refugee is that no one really wants to be a refugee, but if you’re fleeing your country, it’s a good thing to be called a refugee. It’s just that when you finally get to the host country, many refugees want to stop being seen as refugees. Krys Boyd: All right. Let’s go to the phones. Our number is 1-800-933-5372. Ron is calling from Richardson. Hi, Ron. Ron: Hi. Excellent show and timely. Actually, I called about 10 minutes ago, and this question is exactly built on your guest’s statement. I am also 62 and old enough to remember that people fleeing communism and World War II were called refugees, but our media decided once the refugees became Middle Easterners and predominantly South American, they now call them migrants. NPR does this, every major news organization. It seems to me it’s an implicit degrading of the status of these people. It says, “We are not going to give you the benefit of the doubt, and you are somehow less than the people that came before.” I can appreciate your guest’s comment on this because this migrant thing drives me crazy. I’m talking back to the radio constantly. They’re refugees. The people that are currently being seized at the border right now and their children are taken away are applying for refugee status, which is legal. Anyway, that’s just my comment. Thank you very much. Krys Boyd: Thanks for your call. Viet Nguyen: Yeah. According to the UN, in that category of 66 million or so displaced people, there’s another category within that for asylum seekers. I forget the exact number, but something like four or five million asylum seekers. Certainly, it’s the case that many of these people who are being detained, arrested at the border, and having their children taken away from them are coming as asylum seekers. They’re not coming as migrants or as economic migrants or what-have-you, but they’re coming under a very special kind of classification. The current administration doesn’t want to acknowledge that, again, because if it acknowledged them as asylum seekers or acknowledged them as refugees, this country would owe them certain kinds of rights under the UN convention. I think your caller is absolutely right, that here with people coming from south of the border into the country, there’s a huge disincentive for the United States to acknowledge any of them as refugees, but instead it prefers to classify them as migrants of various kinds, either legal migrants or undocumented migrants or economic migrants and what-have-you because if the United States were to acknowledge them as refugees, what it would have to acknowledge is that they are actually fleeing not because of economic conditions or just trying to make a better life for themselves, but they’re fleeing for their lives from terrible conditions of violence in countries south of the border. Now, the United States arguably has some responsibility for some of those circumstances in some of those countries because of the United States’ interventions in Central America and Latin America, for example, in the 1970s and 1980s that have helped to destabilize these countries, and also with the continuing war on drugs that have created conditions that have been very dire that people are trying to escape from. To go back to the Haitian example, the people coming from south of the border are the Haitians of today. Krys Boyd: You and actually a number of other writers in this collection address the weird paradox of refugees being simultaneously invisible and hyper-visible, but, as you say, rarely just visible. Can you talk about what you mean by that? Viet Nguyen: To be hyper-visible or invisible is the default condition for anyone who is a minority in this country, which includes refugees. What I mean by that is that, for the most part, if you’re a minority or a refugee, this country doesn’t see you. You’re invisible. You don’t count. For example, you watch movies. You read books. Most of these movies and books are not about refugees and minorities. They’re about the visible people, that is, the people who are the dominant class in our society. Refugees and minorities become hyper-visible, however, when they become problems. African-Americans are invisible to many Americans until they become a, quote/unquote, problem. Likewise, refugees are invisible until they become a problem, massing at the border or threatening our resources or threatening our culture and our country. That is a terrible position to be in, to be unseen or to be seen only when you’re a problem and therefore a problem that has to be treated, that has to be contained or detained or evicted or, in worst-case circumstances, killed or punished in various kinds of ways. Again, that’s exactly what’s happening at the border. These refugees or these migrants or these asylum seekers, they’re invisible to much of the American population until now they’re a problem, in which case they need to be detained or punished. But otherwise, their plights, their circumstances, their humanity are invisible to people in the United States most of the time. Krys Boyd: Do refugees change the communities they settle in? Now, in my own case, in the case of Vietnamese refugees, as I mentioned before, the majority of Americans in 1975 did not want to take Vietnamese refugees. The United States was undergoing a recession. There was the fear that Vietnamese and Cambodian and Laotian refugees would bring economic competition and also probably cultural contamination because we were alien populations to this country, so there was a lot of fear. Of course, there’s always an adjustment process. I can look at the history of what happened to Vietnamese, Cambodian, and Laotian refugees and point out that yes, many of these refugees had to become dependent on welfare, or they had domestic violence problems as a result of being traumatized by the war, or they committed violence, and so on. But I can also point to many cases where these refugees became very, very successful, as in the case of my parents opening that Vietnamese grocery store, which became the beginning of their small business empire that they built, and many other kinds of success stories like that, like my brother, who came at 10 years old, didn’t speak English, and seven years later, graduated as valedictorian of the poorest high school in San Jose and went to Harvard and then, just to rub it in, went to Stanford as well. Never forgive him for that. If we look at the case of Vietnamese refugees who settled in San Jose and in California and Orange County, for example, which is home to the largest Vietnamese population outside of Vietnam, these refugees have made their cities and their counties better. They’ve made them better because they provided more jobs. They bought more homes. They’ve redeveloped areas that were not particularly attractive. Downtown San Jose, where my parents opened their grocery store, was a place no one wanted to be in the 1970s and 1980s. My parents were a part of that gentrification process so successfully that, in 2002, the city forced them through eminent domain to sell their property to the city so that the city could redevelop San Jose. Overall, if you look at this balance of for better or for worse, refugees have very definitely done better for this country than otherwise. Krys Boyd: You’re listening to Think. I’m Krys Boyd. Here’s the thing I don’t get, Viet. I’m not arguing that things are perfect for people who came to this country as Vietnamese refugees or are their children and grandchildren even today, but they’re not controversial today, right? There’s not a loud set of concerns that Vietnamese refugees are ruining America or changing America. Why don’t we assume that this will probably also shake out fairly well for other groups that seek to come here as refugees? Viet Nguyen: That’s my question too because, again … to me, it seems obvious. If you look back on American history, there has never been a time in American history where Americans, whoever they happen to be, have not been afraid of the newest newcomer. In 1751, Benjamin Franklin was already writing about these aliens who were threatening Pennsylvania and going to make it into a tawny, dark place. He was referring to the Germans. There’s always been those moments. If we’re just talking about people who have now become white, there were the Irish and the Sicilians and the Polish and the Greeks. Throughout the late 19th and early 20th century, the WASPs in this country were terrified about these people and the Jews who then were coming from Russia and so on. History has proven time and time again that the people we are so afraid of, give them one, two, or at most three generations, they become Americans. Then as Americans, they turn around and become afraid of the newest people who are coming to this country. John Kelly is a perfect illustration of that, being I think the grandson or great-grandson of Irish and Italian immigrants who came as basically menial labor and barely spoke English, if they spoke English at all. Yet three generations later, he’s one of the most powerful people in the country. We have all this evidence that demonstrates that there has rarely been a case where immigrants and refugees, as alien as they might seem in that moment, did not succeed in this country. If we look at the hysteria around either Muslim refugees, Syrian refugees, or these people coming from south of the border, from Mexico and Guatemala and Honduras and other places like that, I’m pretty sure that if they’re given the chance, in one or two generations, they will very definitely be the kinds of Americans who will want to keep other immigrants and refugees out. Krys Boyd: Did you feel like, for you, the process of coming to terms with your identity was one of building an identity or discovering an identity? That’s a very classic immigrant or refugee kind of story, so that’s what I mean that it was both a process of discovering and building an identity. I had to build an identity as an American, but also I had to discover an identity as a Vietnamese person, since I came as four … I spoke four-year-old Vietnamese. I had to spend a lot of effort learning about Vietnamese history and about the Vietnam War and going to Vietnam to study Vietnamese and so on. That’s discovering an identity, whereas in the United States, I had to try to figure out what it meant to be an American in this country, knowing implicitly that somehow I didn’t totally fit in because my parents, when they opened that grocery in San Jose, I remember walking down the street when I was 10 or 11 and seeing a sign in a store window that said, “Another American driven out of business by the Vietnamese.” That person clearly meant my parents and me and that we were not somehow Americans. So who was I? I had to discover that. I went to high school, went to a primarily white high school. There were a handful of us who were Asians. We knew we were different. We didn’t know how. We’d gather in a corner of the campus for lunch every day. We would call ourselves the Asian Invasion. There were all these signals being sent to me that I was not an American or 100% American. I didn’t fit in. I had to build that identity as an Asian-American, as a person of color, as an American who acknowledges that he is an American, but that he has these ties to other countries and this desire for solidarity with other immigrants and refugees. Krys Boyd: My guest, Viet Thanh Nguyen, came to the United States as a child refugee from Vietnam in 1975 at the age of four, went on to win a Pulitzer Prize and a MacArthur Genius Grant. Now he’s the editor of an essay collection called The Displaced: Refugee Writers on Refugee Lives. You can join the conversation by calling 1-800-933-5372 or email think@kera.org. This is Think. I’m Krys Boyd, speaking this hour with Viet Thanh Nguyen, who is a contributor to and editor of the essay collection The Displaced: Refugee Writers on Refugee Lives. Nguyen’s family came to the United States when he was four years old. That was in 1975 they fled Vietnam. If you’d like to join the conversation, you can call 1-800-933-5372. Something it seems we rarely talk about, Viet, is the sacrifice that it must feel like to people like your parents to come to this country and ultimately raise two sons who will … I won’t speak to your brother because you haven’t mentioned it, but I imagine you both feel more American than Vietnamese today. Viet Nguyen: Well, I think that’s true. [inaudible 00:34:08] quantify myself in particular. Certainly, I feel more comfortable in the United States. I feel more comfortable in English. I also am ambivalent about saying, “There’s a Vietnamese side and an American side,” because I believe that we are hybrids, all of us, whether we acknowledge it or not. Even people who call themselves Americans, 100% Americans, they’ve been deeply influenced by all the different kinds of cultural things that have happened in this country brought here from different places, different kinds of music, different kinds of food, different kinds of ideas. We’re all hybrids in that sense, but because someone like myself is a new American, someone who is not born here but came as a child, I think I’m more visibly someone who bears that burden of somehow being torn between two countries and so on. I prefer to call myself a Vietnamese-American or an Asian-American in addition to being an American. I think that’s important to assert that possibility so that people like me … There are many, many people like me, millions of people like me … people like me wouldn’t feel like they have to choose between these different aspects of their heritage but would see being Vietnamese or American or Asian-American or what-have-you as another way of entry into the United States, into American culture, and as a way for us of helping to transform American culture so that we all recognize the different ways in which we’ve been shaped by many different kinds of influences. Krys Boyd: What moral obligation do you think any destination country has to refugees who arrive seeking safety? Viet Nguyen: We can go back very, very far to the origins of any of our cultures, any of our religious traditions, and see that hospitality and welcoming the stranger have always been a part of many, many kinds of traditions, including the Judeo-Christian tradition that many Americans believe constitutes the core of this country. But for many immigrant and refugee cultures from other countries, hospitality and welcoming the stranger are also part of our cultures and customs as well. When someone comes to your door, whether it’s your personal door or your country’s door, and they’re poor and they’re hungry and they’re starving and they’re fleeing from danger and violence, there is, I think, a moral obligation, whether we want to call it religious or ethical or something else, to help these people. Of course, it’s an imposition upon our time and our resources to do that. That’s why we, as a nation, pay our taxes and elect our representatives and [inaudible 00:36:39] cultures and organizations that can help take up that obligation so it’s not each of us individually who has to open our door. That’s what we pay our taxes for. We need to expect those kind of moral obligation, moral responsibility, moral reciprocity from our leaders. That’s why I think the current administration is really failing, indeed, actively rejecting that obligation of humanity and hospitality that governments and states can deliver on behalf of its citizens. Krys Boyd: Your sense is that we punish refugees, in effect, for the crime of just trying to stay alive. Viet Nguyen: Yes, of course. We don’t have to treat refugees the way that we do. We can have a reasonable discussion about various kinds of immigration and how to treat refugees and how do we deal with all this kind of stuff. We’re not having that reasonable conversation. Our Congress is not working. The president is not working. The president has decided, along with Jeff Sessions, that we’re going to punish people simply for showing up at our border and, in many cases, asking for asylum. That is not reasonable. That is punitive. We’re not obligated to do that. We’re punishing parents and children in order to send a threatening message to other people not to come to this country. But in fact, if in fact we do have a broken immigration system, then Congress and the president need to work together to do something about that. That’s not what’s happening right now. Krys Boyd: All right. Let’s go back to the phones. We have Alex calling from Denton. Hi, Alex. Alex: Hello. Thank you for having me. Alex: It appears to me that our strategy is so myopic in that we are constantly focused on the effects of these wave of these refugees, immigrants, and asylum seekers and not really focused on the causes and the long-term strategy. I wonder if … Have we in the past implemented long-term strategy that have helped reduce some of the issues we face on a day-to-day basis? Why are we so reluctant to discuss these longer-term issues and get involved in other ways that help some of the reasons on why somebody would be fleeing and why they would come to our borders? Krys Boyd: Alex, let me make sure I understand. Are you talking about things like foreign aid and intervention abroad to improve conditions so that people aren’t compelled, don’t feel compelled to seek refugee status? Alex: Foreign aid is a part of it, but there just doesn’t seem to be a discussion or an emphasis in our current conversation about ways that we could do more than that, more coalitions or really look for efficient, maybe cost-efficient ways of implementing new strategies. Have we done something in the past that has worked and has reduced flight? Krys Boyd: Okay. Thanks. Viet? Viet Nguyen: Well, I think one of the reasons why discussions about refugees can become very complicated and people don’t want to talk about them is exactly for the reason that your caller raised, which is that, again, countries who meddle in other countries often produce circumstances that lead to having refugees in the first place. One solution, for example, just talking about the contemporary context, is that the United States should not go and meddle in other countries. The United States should not be going to other countries to fight wars, dropping bombs, trying to manipulate the political outcomes of governments, trying to intervene in political situations south of the border, and so on. These are all things that the United States has done in Asia and Latin America, for example, that have led to the production of refugees from places like Korea, Vietnam, Laos, Cambodia, Honduras, Nicaragua, and so on. That is something that needs to happen, but of course, the United States is very reluctant to undertake those kinds of strategies because it goes against what some people in the leadership of this country think of as America’s geopolitical interests. The question of the production of refugees is completely wrapped up with the role of the United States globally. Now, once these refugees are produced, what can we do about them? Well, number one, we can take more refugees. You have to understand that under the Obama administration, we had a ceiling of about 90,000 refugees. The United States now, the current administration, has cut that down to about 45,000, but has accepted only about 10,000 or so out of that quota. It’s a very, very small quota. Other countries are literally taking in hundreds of thousands of refugees. I’m not even talking about Germany or France, but I’m talking about countries like Turkey and Jordan that are really dealing with the forefront of refugee crises from certain parts of the world. The United States is not even doing enough in its own case to handle a fair share of refugees. The United States is actually having an antagonistic relationship with the UN, which is handling a lot of these refugee cases. There are things that can be done in the United States. They’re either not doing them or actively opposed to them. Krys Boyd: I’ve always thought that our treatment of refugees intersects in a strange way with our sense of American exceptionalism. We believe that we are the greatest country on the planet Earth. The fact that I was born here though, I didn’t do anything to earn that. It was just an accident of fate. Viet Nguyen: Well, as somebody on my Facebook feed just posted … She’s from Denver, and she was going to a refugee march today. She had a refugee sign, and she says somebody came up to her and said, “Get out of here. Go home. Go home to where you came from.” That speaks to the exceptionalism that you’re talking about. It’s such an uncomfortable provocation to some Americans that there might be people here who are going to question American exceptionalism and question what it means to be an American. Simply by holding up a sign about refugees, you’re making people aware of contradictions that provoke them so much that they’re going to resort to this kind of racism and nativism. That’s something that’s very difficult for us to overcome. I think one of the reasons why Americans as a whole are so confused about refugees and the distinction between refugees and immigrants is that Americans just can’t reconcile refugees with the idea of the American Dream, that exceptionalism that you’re talking about. This is supposed to be a great country. We can’t produce refugees. That’s why, when Hurricane Katrina happened, and thousands of people were displaced, some of the American media called these people refugees. President George Bush said, “It’s un-American to call these people refugees.” Jesse Jackson, for perhaps the only time in history, agreed with George Bush and said, “It’s racist to call African-Americans refugees,” because so many of these people were African-Americans. In other words, Americans just cannot believe that this country could ever produce refugees. That’s one of the reasons why I think Americans are afraid of accepting refugees because that’s an uncomfortable reminder. That’s probably one of the reasons why we’ve had very, as a country, had a very ambivalent reaction to what’s happened in Puerto Rico, where people have literally become refugees. They are a part of this country, but because they’re not an actual state, we can pretend that this country can’t produce refugees and instead imagine Puerto Rico as something outside of our national border and our national imagination. Krys Boyd: You’re listening to Think. I’m Krys Boyd. Let’s go back to the phones now. We have Kelly calling us from Flower Mound. Hi, Kelly. Speaker 6: Hi. Good afternoon, Krys. Speaker 6: I just had a question, well actually more of a comment. I would like for Mr. Nguyen to further address … I think it’s a good segue since you just mentioned the Katrina event a few years ago. You talked about immigrants almost fully assimilating within three generations. You used John Kelly as an example. I wanted you to expand upon the thought that … Is that something that’s only limited for European immigrants? Because I think that those coming from brown countries such as the African diaspora countries or even Asian countries, they may have a very different perception of how that operates and a very different experience of how that three-generation assimilation works for them, or if it does. I would argue that it doesn’t. Krys Boyd: What do you think about that, Viet? Viet Nguyen: No, I think that’s a great question. The caller is definitely bringing up, again, that history of race in this country and that there’s a distinction between being a white ethnic who eventually can become white. We’ve had this very flexible definition of whiteness in this country so that someone who is Irish or Italian at the turn of the century might not really perceived as white by the already established whites, but within three generations, like the Irish-Americans, they pretty much definitely have become white. Now, is that possible for immigrants and refugees from non-white countries? I agree with your caller that race remains a significant obstacle in American society, but can there be a degree of assimilation achieved? If you look at certain examples, the answer is probably yes. If you look at Asian-Americans, for example, some of the Asian-Americans have been here since the middle of the 19th century. They’ve been here longer than three generations. Japanese-Americans have been here longer than three generations. They’re pretty much Americans when you meet them and you talk to them. Many of them have become, for example, elected government officials and all that. Now, their assimilation has been made partially possible because they’re not black. This country has always fluctuated between being white and non-white or black and non-black. Right now, if you’re an immigrant from Africa, you might come here as an immigrant, but within two or three generations, you become African-American, which means that then you’re subjected to this really deep and complicated and so far enduring problem of anti-black racism in this country. No doubt, there’s a whole spectrum of possibilities here. Race remains a very significant obstacle, but there are plenty of examples too of immigrants, even from non-white countries, who have successfully assimilated as Americans. Maybe they’re exceptions, but they’re exceptions that prove that we should be working towards making that a condition of normality rather than something that is exceptional. Krys Boyd: Do refugees owe anything to a place that makes it possible for them to move in and start their lives over? Viet Nguyen: Absolutely. When I mentioned earlier that hospitality should be a part of any country and society, it works both ways. The host has to be hospitable. The guest has to be a guest and accede to the customs of the host. Now, obviously that’s a huge problem now because much of the anti-refugee sentiment in Europe and also here in the United States is about this idea that the guests are not good guests. Now, that is hugely controversial because the definition of whether the guest is being a good guest might vary from the guest to the host. I think there are a lot of Americans today, for example, who would say, “Oh, a lot of the immigrants that we’ve welcomed into this country, they’ve made this country worse. They’re changing the country. This is no longer the country I knew.” Therefore, they feel like they’ve been hosts, and the guests have been bad. But from the perspective of guests, like the refugees and immigrants that I know, we’ve come to this country. We see ourselves as Americans. We become Americans. We speak English. We vote. We do all the things that Americans are supposed to do, but we still want to be able to retain our personalities, our cultures, and so on, which means that there’s going to be a negotiation, especially when we stop being guests, and we become residents of this country. That negotiation, that compromise, is a part of what makes America a dynamic country and why we should keep welcoming immigrants and refugees who will change this country for the better. 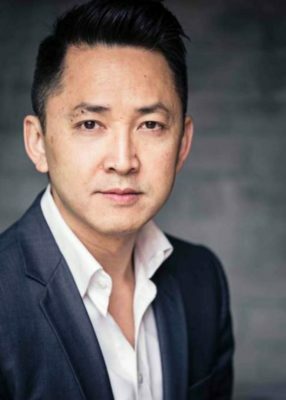 Krys Boyd: Viet Thanh Nguyen is editor of the essay collection The Displaced: Refugee Writers on Refugee Lives. Viet, it’s been a really interesting conversation. Thanks so much for making time for us. Viet Nguyen: It’s been a pleasure, Krys. Thanks again for having me. Krys Boyd: Think is produced by Stephen Becker. Shelley Kenneavy is technical director. Samantha Guzman is associate producer. Jeff Whittington is executive producer. Once again, I’m Krys Boyd. Thanks for listening. Have a great day.